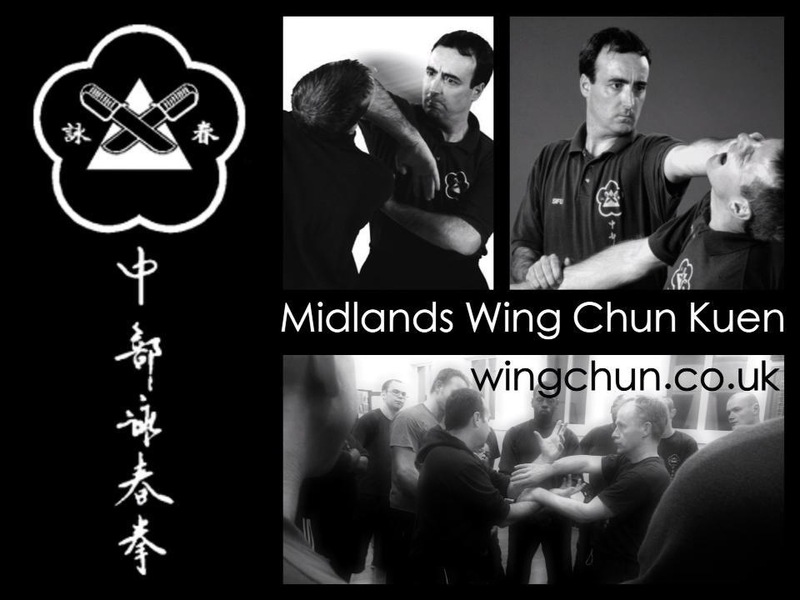 When can I start training at the Midlands Wing Chun Kuen ? You can start at anytime as we run an ongoing introductory group. It is, however, best to ring first to confirm that it is convenient. The introductory period will last a minimum of 16 sessions and is designed to allow you, as a new student, to build up a bigger picture of what our classes, students and instructors are like. This helps you to decide whether you want to continue training when / if we invite you to become a full member. All newcomers are kept separate in an introductory group for 16 lessons, during which time they are taught the basics but are also encouraged to watch the main class train. Over this period you can watch 16 typical classes, ask questions about any aspect of Wing Chun Kuen, the Sifu (Instructor), the students, etc. At the same time however over the 16 lessons each newcomer is the subject of a psychological and physical assessment and analysis by the Sifu and his assistants, who listen to your questions, review your attendance and punctuality, note all beginner's respect (or lack of it) and assess each applicant's suitability and attitude. Upon completion of the introductory period, and if we are happy that you will fit in, we will invite you to join our organization subject to the successful completion of an assessment. Can I watch before I join in the training? You can watch as long it doesn't disturb those training, however only by joining in will you begin to understand what Wing Chun has to offer. What do I need in order to start training ? If you intend to train wear something appropriate; we wear club T-shirts, training trousers and training shoes and expect you to wear similar, preferably a plain white or navy t-shirt. How much does it cost for those first 16 introductory classes and what will be covered ? The cost is £30.00 per batch of four lessons. During the 16 lessons introductory course you will learn about the background of the school, the teacher and the history of the Wing Chun system. In addition you will be taught the correct etiquette and approach the Wing Chun training. On the physical side you can expect to learn the fundamentals of Wing Chun including the stance, posture punching, stepping and turning. Alongside these the correct and efficient body mechanics and the correct musculoskeletal structure and alignment are taught. The physical aspects of Wing Chun are also supported by the Wing Chun principals including economy of movement and energy, correct usage of energy, the centreline, simultaneous attacks and defence principals. What happens at the end of the 16 lessons introductory course? Should you be invited to join our organisation, following the completion of the introductory assessment which covers the core movements and principles of the Wing Chun system. Successful applicants need to complete a membership application form, the agreement in writing to our constitution and codes of conduct and pay the years membership of £38.00. This payment covers full membership and insurance for the next 12 months and includes a club T-shirt. Membership and Insurance is renewable annually and subsequent years are £28.00. Member's lessons are payable £30.00 monthly by standing order, or, depending on the location (see individual Class locations for more information) by cash, cheque or direct transfer on the first training lesson of each month. Are there any gradings in Wing Chun ? No, we do not have a grading or belt system, instead we have a structured training agenda that we call assessments. An assessment is the student's opportunity to stand up and show what he/she has learnt over the previous 4 months or so. They serve to check the student's progression through the Wing Chun system. There is no pass or fail, if during the weeks leading up to the assessment the student is not capable of performing the assessment techniques to an acceptable standard, they will not be submitted for assessment by their instructor. In addition the assessments, which are primarily conducted personally by Sifu Rawcliffe, serve to ensure that the clubs respective instructors are teaching according to the way that they were taught and therefore retain the authenticity and traditionalism of MWCK Wing Chun through the levels. Each student assessment costs the same regardless of level and is NOT priced on a rising scale. Do I need to be physically fit ? 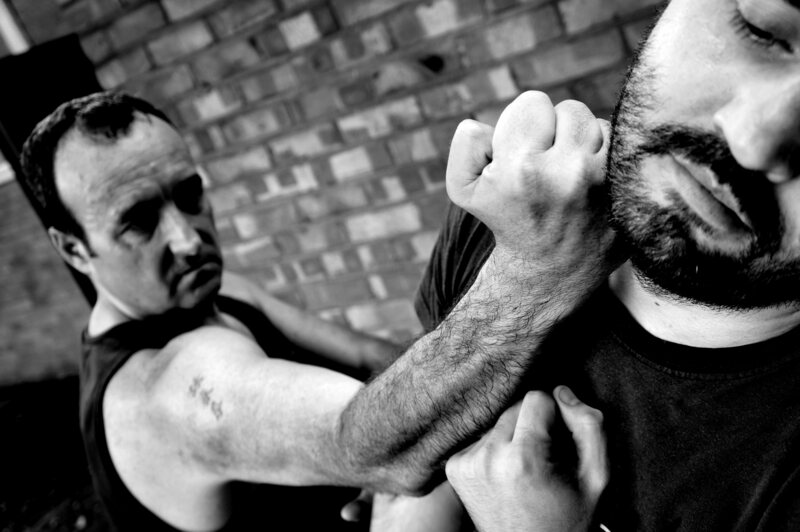 Wing Chun is suitable for everybody and can be adapted to suit all levels of fitness. Practice and training will itself develop, maintain and then increase each student's fitness levels. Obviously should anyone be extremely unfit or have a medical condition, medical advice should be sought prior to any physical activity or exertion. What other excercises can I do to enhance my Wing Chun ? Many students ask if there are any exercises that can enhance their skill and speed up their journey along the Wing Chun path. The answer to this is Yes and No; the fitter that you are physically can only help you, however you must balance the time spent increasing only your fitness in a gym or with supplementary exercises against time that could be spent increasing your skill and experience of the techniques that are contained within the Wing Chun system. Logic dictates that if you want a fast and powerful punch the best way to achieve one is to practice that punch, so that you can build and hone the muscles and tendons that you need to execute that punch. If you want to learn how to swim, the only way is to actually get into the water. This is true of all the Wing Chun techniques, in that the primary method to improve at any of them is to practice them and not waste valuable time on pure muscle building exercises. Do you enter competitions ? No, Wing Chun is not a sport. We train only for self protection, no rules, no gloves, no point scoring , no fancy trophies and no referees. How long will it take before I can defend myself ? I wish there was an answer to that question. It all depends on how often and how hard you train and practice. At the Midlands Wing Chun Kuen we have simple philosophy, we teach you a movement, when you can perform it successfully, we will teach you the next. Until you can perform it successfully, we work with you on that movement. Advancement within Wing Chun therefore is based solely upon your ability - we measure you by ability and understanding, not length of service.